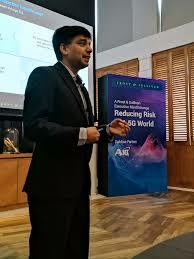 SINGAPORE–More and more enterprises are looking towards new technologies such Machine Learning & Artificial Intelligence, Edge Computing, Software Defined in their push towards digital transformation. However, technological challenges such as cybersecurity, disparate configurations and application centricity still remain. Ajay Sunder (left), VP at Frost & Sullivan’s ICT Asia-Pacific practice discussed data-driven technologies as the new catalyst as enterprises today move towards digital transformation. These include leveraging cloud, looking at Analytics as new revenue drivers while ensuring security remains relevant.